Butsoon Rose learned that her ties to Strendleigh were closer than that of grateful houseguest. And the closer she got to the truth, the more obvious it became that one of the two handsome Stone brothers vying for her hand in marriage was really trying to rid the hall of its guest…permanently. Recently orphaned Rose Douglas, together with her pet pony Bonny, travel all the way down to Cornwall from Scotland to live with her Uncle Andrew in a cottage on the grounds of the Strendleigh Estate. He was the quarryman who designed and built the magnificent Strendleigh Hall and when he dies in a mysterious accident, Rose has no option but to reside at the Hall until she can decide what to do with her life. At first it looks as if her options are limited -once her Uncle’s debts have been settled there’s not much left over for Rose – so she is very grateful for the hospitality extended to her by the Strendleigh family, in particular the two tall, dark and handsome brothers, Masters George and Gideon Strendleigh. Alas, the longer she stays at Strendleigh the more her life is imperilled, as small accidents start turning into death defying near misses, and as Rose learns more about the history of Strendleigh, she starts to suspect she’s inherited a little more than her fiery red hair from Uncle Andrew’s side of the family. But if she wants to claim her inheritance she needs to act fast – someone is out to kill her. 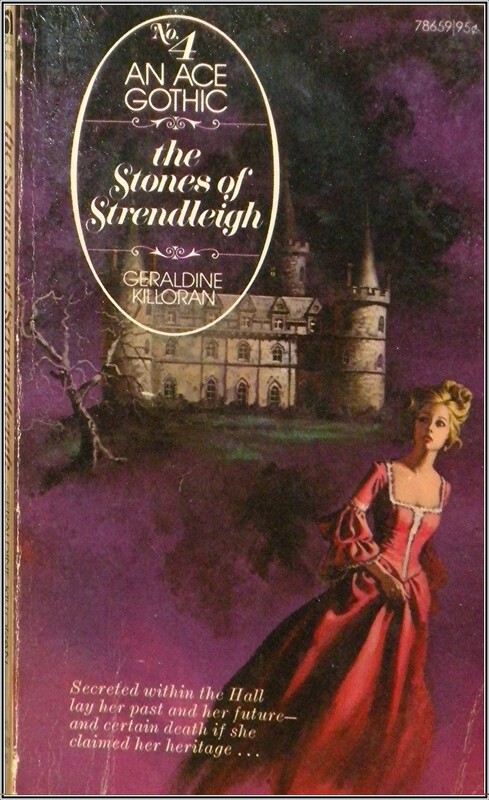 The Stones of Strendleigh is a well written historical suspense novel, with lots of added background on the history of this Cornish family and their ancestral home lending depth and credibility to the story. I’m not a huge fan of this sort of ‘bodices and bloodlines’ kind of saga myself but the writing was good with just enough suspense to keep me involved. There’s plenty of period touches for those of you who like your gothic gaslit and even a mysterious mad woman locked in the attic a la Jayne Eyre. Three out of five stars.